Take all food out of the fridge and remove the shelves and drawers. It will make cleaning much easier and you won't contaminate your food with cleaning products. Clean all the surfaces, including all the nooks and crannies, with a soft cloth using a mixture of warm water and dishwashing liquid. Be sure not to clean plastic materials with detergents that contain alcohol. Clean the gutter and the discharge opening for the water from the thawed frost deposits. A drinking straw is great for this. Defrost the freezer compartment everytime the frost build-up is more than 3-5 mm thick. Or, at the very least, before your drawers are frozen shut. If you hate defrosting, our NoFrost appliances make this annoyance a thing of the past. Prevention is always better than the cure. 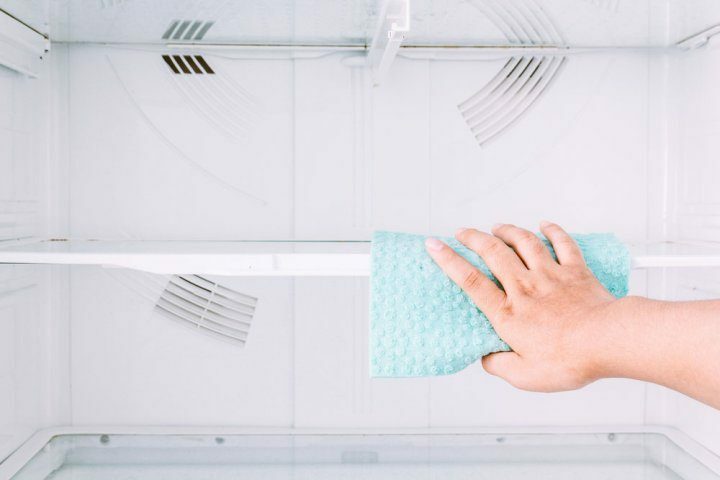 Make sure your fridge stays as clean as possible, wipe all spills as soon as they appear and always throw away outdated food.